The 358 Winchester was created and designed in 1955 by Winchester Repeating Arms company. 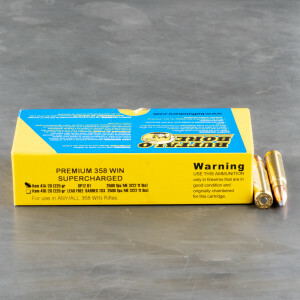 The round utilizes the standard and extremely popular 308 cartridge case as its parent case, necked up to accept the large 35 caliber (8.8 mm) projectile. 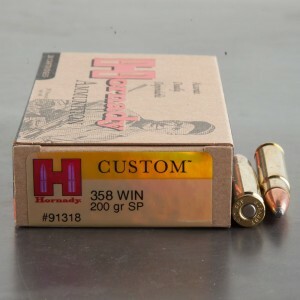 358 Winchester ammo is a potent round designed to be more lethal than a standard 30 caliber cartridge, but use available brass and tooling to minimize cost. Arrived on time. Was exactly as advertised. Will definitely order from ammunitiontogo again. Will check their prices first from now on. Prices are competitive.